My website is a centralized hub for my business and my clients. The website streamlines my communication processes to clients, as well as gives all of my fans easy access to my merchandise and my music! Now, I am spending less time planning and being consumed with paper marketing. 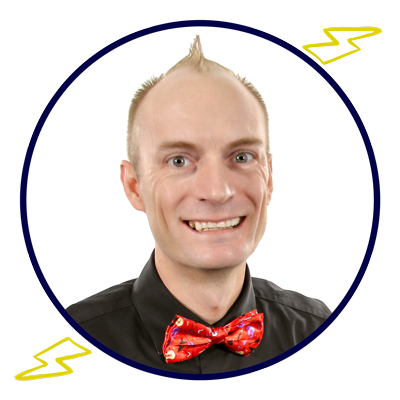 I have multiple avenues of approach for communicating to the world, through my blog, newsletters, and email; Plus, they are all in one space! I’m super excited about the endless possibilities for my company! 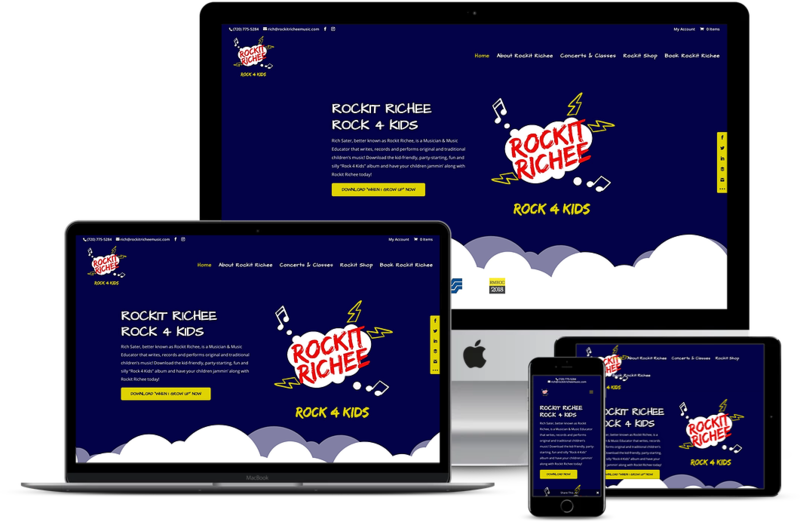 By developing this rock 4 kids website design, Rockit Richee is now able to capture leads with an optimized download funnel. Featuring an exclusive, unique design with brand-matching clouds floating through the design. The colors, icons, and page were custom-crafted by us. The aim for these graphics is to be vivid, bold, and eye-catching.  This design includes a distraction-free cart page, optimized checkout process, as well as a way to segment his 2 target demographics through a custom “chat” experience style contact form. He also has the ability to sell his unique merchandise like maracas and tambourines through the e-commerce platform. 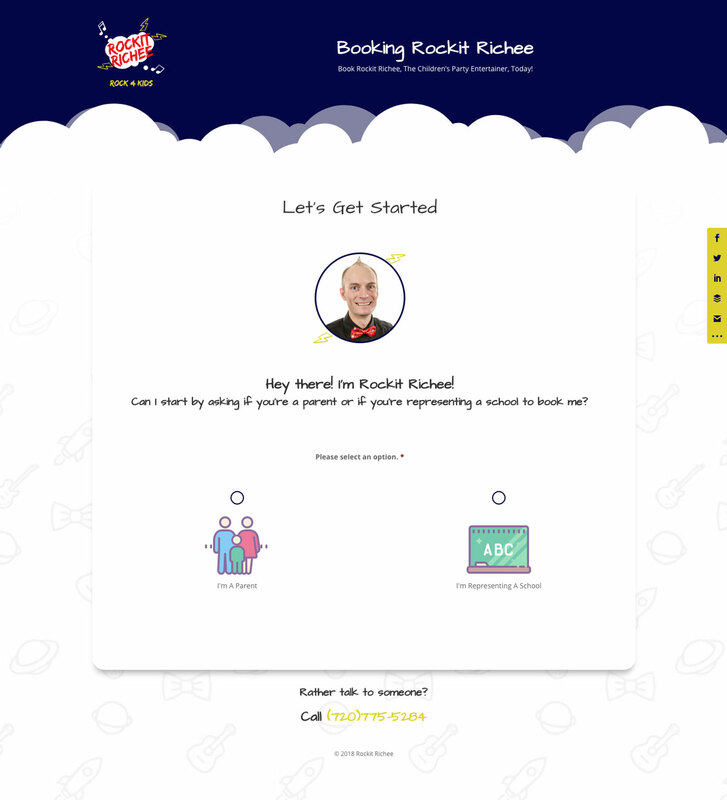 When Rich contacted us to design his website, he was in need of a platform that is easy to access for school and families to learn about his music services, upload his original songs on some form of music stream software, online ordering for his merchandise, and a way to communicate easily with his potential customers. So here’s what we did for him. 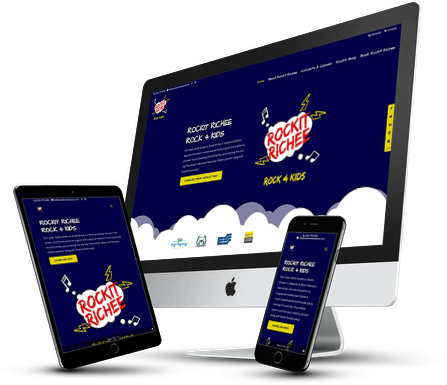 We took our time to develop the Rockit Richee website so that it is engaging, has the right functionality, and matched his brand vision. The random clouds and miscellaneous icons were custom-designed by us to be vivid and match his logo. We set up a photoshoot with Rockit Richee with our photo equipment for a white-screen photoshoot. Including background removal services so that his new photos gave the impression that they ‘float’ throughout his website. Across the dominant pages, you’ll see social media share buttons in the brand colors on the right side of the website. 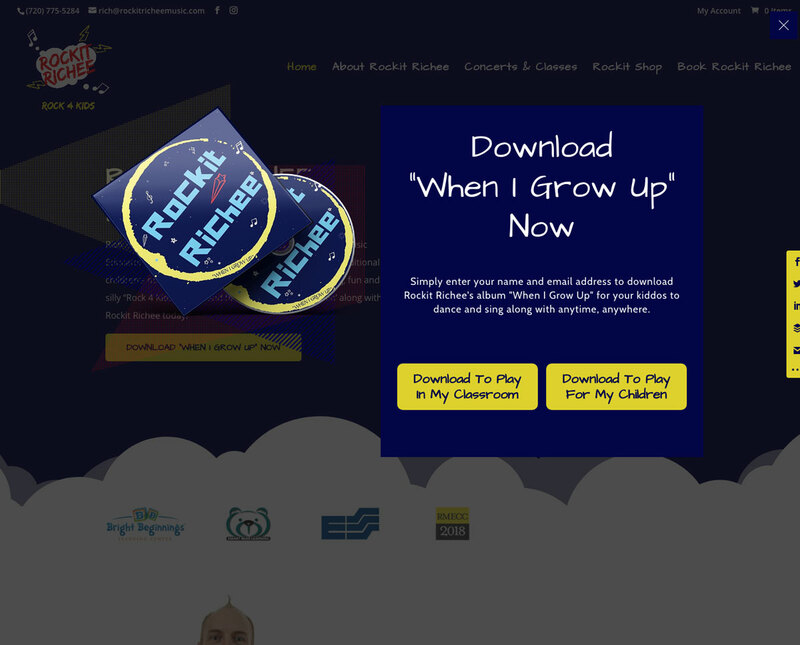 This helps when people that want to help promote Rockit Richee want to show support with a quick, simple “share”. We installed Woocommerce and customized it to fit his brand and removed the clutter that initially comes with Woocommerce.. This website has the ability to capture new fan’s email addresses as well as leads so that anytime he releases new music or has a promotion, he can easily capture their information. We created a custom email template to match his brand with his colors and logo. Now, when he sends out an email newsletter, it looks professional and comes from his own custom domain email address. We connected Rich with our partners over at DistroKid to put his music up on all of the major music platforms like iTunes, Spotify, Google Play, and more.